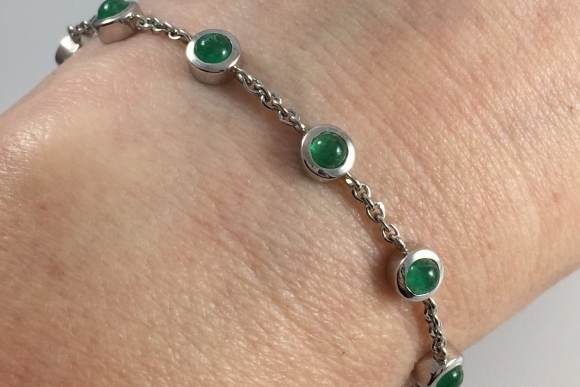 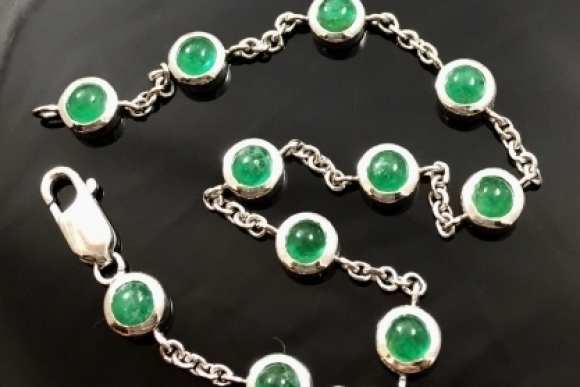 This 18K white gold and emerald bracelet is bezel set with eleven round cabochon natural emeralds connected by a cable chain for strenth and comfort. 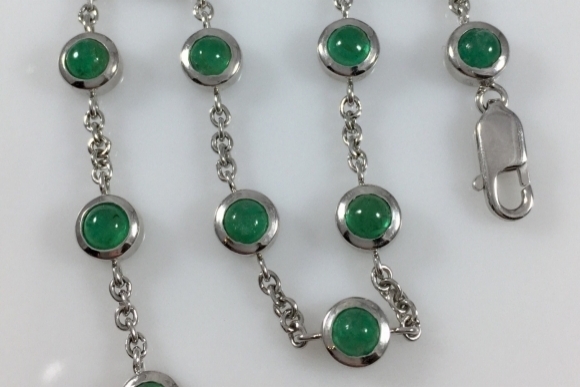 The emeralds measure 4mm, and the total gemstone weight of the emeralds is 3.25 carats. 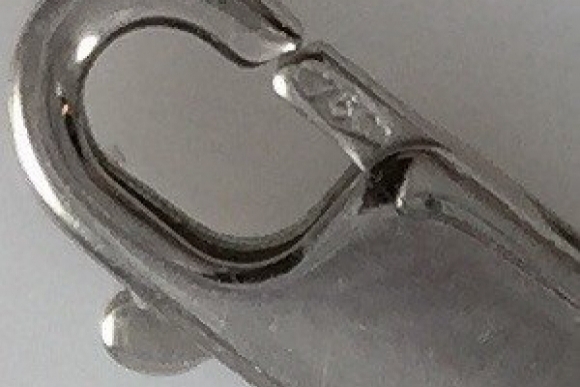 Secured by a lobster clasp. 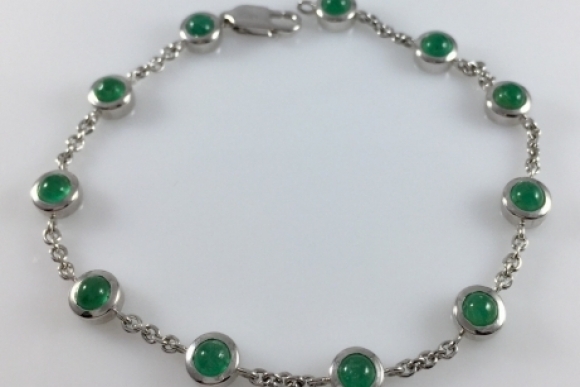 The bracelet is 7.25 long, and weighs 7.6 grams.